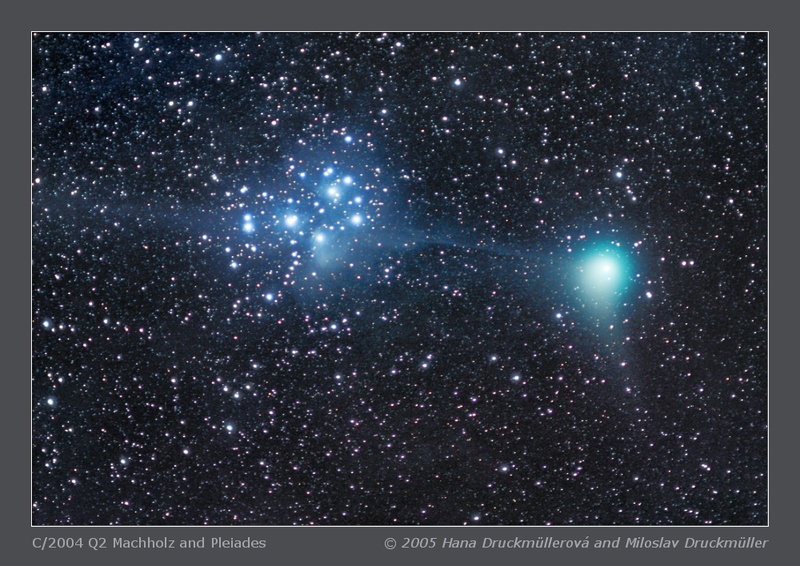 This composition of six separate images shows the length of the comet's ion tail. The tail itself is more blurred by comet's motion in comparison to the previous image, but is better visible. Click on the image or on the following reference to display the higher resolution image version (705 KB, JPEG format). Processing Composition of 6 images.